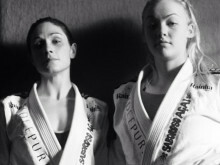 ​Ten of the UK’s top ranked BJJ athletes are currently on their way to fulfilling their dreams in competing at the IBJJF European Championships following sponsorship packages given by the UKBJJA (UK Brazilian Jiu Jitsu Association) and the support of UK based companies. 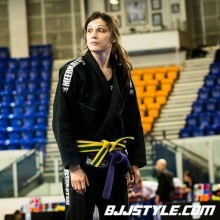 ​Featherweight BJJ athlete Kat Hill is heading to the IBJJF European Championships this week thanks to her own hard work to be named as the UK’s top ranked female purple belt and a sponsorship package from the UKBJJA (UK Brazilian Jiu Jitsu Association). Kyra Robinson is an 18-year-old BJJ athlete from South London who is aiming for big results in 2016, beginning with a trip to the IBJJF European Championships thanks to a sponsorship package provided by the UKBJJA (UK Brazilian Jiu Jitsu Association). 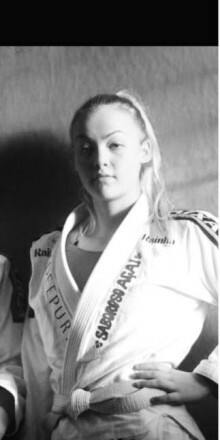 Leoni Munslow is a brown belt from New School BJJ who is determined to bring home a gold medal from The IBJJF European Championships next week following help from the UKBJJA (UK Brazilian Jiu-Jitsu Association) to get there. 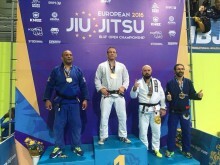 ​Henry Timson is a BJJ white belt who has won a travel package from the UKBJJA (UK Brazilian Jiu-Jitsu Association) to take on the IBJJF European Open Championships next week following a triumphant year in 2015.